Namiko Mitarai, associate professor and researcher in biophysics in the research group BioComplexity at the Niels Bohr Institute, has been awarded the prestigious Japanese elite researcher award, The Young Scientists’ Prize in the Commendation for Science and Technology. The award is given to young researchers who have done groundbreaking or original research and have outstanding research characteristics. Namiko Mitarai, associate professor and researcher in biophysics in the research group BioComplexity at the Niels Bohr Institute, has been awarded the prestigious Japanese elite researcher award, The Young Scientists’ Prize in the Commendation for Science and Technology. Namiko Mitarai received her PhD in statistical physics from Kyushu University in Fukuoka in 2003, where she researched granular materials and how they behave under different stresses. This can be used to understand when, for example, there is risk for mudslides or why certain foods clump, plugging up pipelines. During a stay at the Niels Bohr Institute, she became interested in biophysics and in 2009 she made the leap to Denmark, where she now researches biological systems. She now uses the knowledge she has about statistical physics of granular materials to research how biological systems behave – for example, the feedback mechanisms in the cells’ genetic regulations that ensure that the correct proteins are formed when a living cell is exposed to changes in its environment. It is this bridge between statistical physics in materials and for biological systems that make Namiko Mitarai’s research so unique and this is the reason for the conferment of the research prize. “In order to understand living systems, it is necessary to understand how the parts influence each other to give rise to collective phenomena. Analysis of collective phenomena has primarily been developed in statistical physics, but the use of such analysis in biology is still limited. Namiko Mitarai has worked with dynamics of traffic flow and granular materials from a dynamical systems’ perspective. In one of her projects, she proposed a traffic model for the moleculat process of protein formation taking place inside Escherichia coli bacteria. By comparing the theoretical model with the experimental data, she analysed the effect of ‘traffic jams’ and illustrated new aspects of the genetic code (i.e. the code that translates the information in our DNA into the proteins that are doing all of the work in the body). The results provide a new approach for understanding complex systems through mathematical analysis and this work bridges the gap between theory and experiments and between physics and biology” states the summary from Japanese Ministry of Education, Culture, Sports, Science and Technology for awarding the prize to Namiko Mitarai. The Young Scientists’ Prize in the Commendation for Science and Technology is a very prestigious prize, equivalent to Denmark’s most prestigious public research award, the EliteForsk award. Namiko Mitarai was nominated for the award by the Physical Society of Japan. Namiko Mitarai’s latest research project is a new research centre, which is an interdisciplinary collaboration between biophysicists and biologists. The research aims to unravel the survival strategies of bacteria. Bacteria are hardy and can survive under the most extreme stress conditions – cold, heat, dehydration and even direct attacks with harsh antibiotics. But how do bacteria do that? One mechanism is that bacteria always – even in good conditions, let some individual bacteria hibernate and this means that they are not killed by the antibiotics, but are able to survive. “We want to find out what is going on inside the bacteria, which signals they send to communicate with each other. I am a theorist, so I use data from the biologists’ experiments and work out models of the phenomena to gain a deeper understanding of what the bacteria do in their survival strategy,” explains Namiko Mitarai. 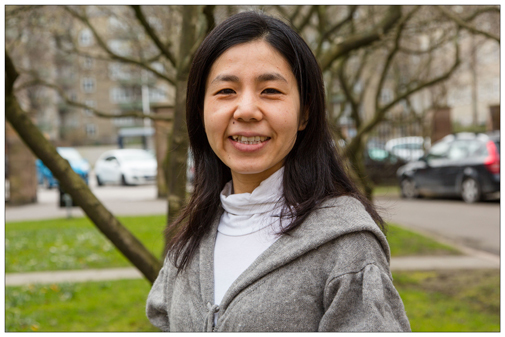 The international environment and the ability to work across disciplines are some of the things that Namiko Mitarai appreciates about working at the Niels Bohr Institute. She will receive the award from Japan’s Minister of Education, Culture, Sports, Science and Technology, Hakubun Shimomura.